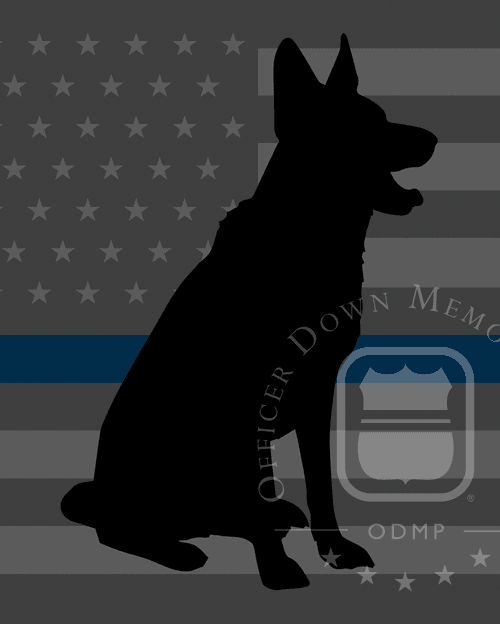 K9 Bruno was fatally struck by an automobile while pursuing a suspect across State Route 95. Bruno's handler had been questioning a suspect in connection with the theft of 50 handguns from a local pawnshop. As he searched the man he located a concealed pair of nunchuks. As his handler placed the man under arrest the man broke free and fled on foot. Bruno was released and started chasing the man, but was struck as they ran across the road. An off duty officer who witnessed the incident gave chase to the suspect and was joined by Bruno's handler. The man was taken into custody a short time later and charged with multiple counts, including interfering with a police dog. Good boy Bruno. Rest easy.